Some analysts of Islam in Western Europe argue that the continent cannot escape its Eurabian fate; that the trend lines of the past half-century will continue until Muslims become a majority population and Islamic law (the Shari‘a) reigns. I disagree, arguing that there is another route the continent might take, one of resistance to Islamification and a reassertion of traditional ways. Indigenous Europeans – who make up 95 percent of the population – can insist on their historic customs and mores. Were they to do so, nothing would be in their way and no one could stop them. Indeed, Europeans are visibly showing signs of impatience with creeping Shari‘a. The legislation in France that prohibits hijabs from public school classrooms signals the reluctance to accept Islamic ways, as are related efforts to ban burqas, mosques, and minarets. Throughout Western Europe, anti-immigrant parties are generally increasing in popularity. That resistance took a new turn last week, with two dramatic events. First, on March 22, Pope Benedict XVI himself baptized, confirmed, and gave the Eucharist to Magdi Allam, 56, a prominent Egyptian-born Muslim long living in Italy, where he is a top editor at the Corriere della Sera newspaper and a well-known author. Allam took the middle name Cristiano. The ceremony converting him to the Catholic religion could not have been higher profile, occurring at a nighttime service at St. Peter's Basilica on the eve of Easter Sunday, with exhaustive coverage from the Vatican and many other television stations. Allam followed up his conversion with a stinging statement in which he argued that beyond "the phenomenon of Islamic extremism and terrorism that has appeared on a global level, the root of evil is inherent in an Islam that is physiologically violent and historically conflictive." In other words, the problem is not just Islamism but Islam itself. One commentator, "Spengler" of Asia Times, goes so far as to say that Allam "presents an existential threat to Muslim life" because he "agrees with his former co-religionists in repudiating the degraded culture of the modern West, and offers them something quite different: a religion founded upon love." Second, on March 27, Geert Wilders, 44, released his long-awaited, 15-minute film, Fitna, which consists of some of the most bellicose verses of the Koran, followed by actions in accord with those verses carried out by Islamists in recent years. The obvious implication is that Islamists are simply acting in accord with their scriptures. In Allam's words, Wilders also argues that "the root of evil is inherent" in Islam. Unlike Allam and Wilders, I do distinguish between Islam and Islamism, but I believe it imperative that their ideas get a fair hearing, without vituperation or punishment. An honest debate over Islam must take place. If Allam's conversion was a surprise and Wilders' film had a three-month run-up, in both cases, the aggressive, violent reactions that met prior criticisms of Islam did not take place. According to the Los Angeles Times, the Dutch police contacted imams to gauge reactions at the city's mosques and found, according to police spokesman Arnold Aben, "it's quieter than usual here today. Sort of like a holiday." In Pakistan, a rally against the film attracted only some dozens of protestors. 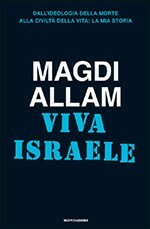 Three similarities bear noting: both Allam (author of a book titled Viva Israele) and Wilders (whose film emphasizes Muslim violence against Jews) stand up for Israel and the Jews; Muslim threats against their lives have forced both for years to live under state-provided round-the-clock police protection; and, more profoundly, the two share a passion for European civilization. Indeed, Allam and Wilders may represent the vanguard of a Christian/liberal reassertion of European values. It is too soon to predict, but these staunch individuals could provide a crucial boost for those intent on maintaining the continent's historic identity. Mr. Pipes, director of the Middle East Forum, is the Taube/Diller Distinguished Visiting Fellow at the Hoover Institution of Stanford University during the spring semester. Will Geert Wilders Show His Film on the Koran[, Fitna]?